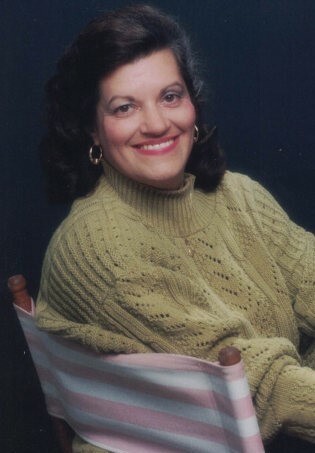 Sandra Cook Blaine, 75, of Fletcher, NC, passed away Thursday, October 25, 2018 at the John F Keever Solace Center in Asheville, NC. Sandra was born in Frederick, MD to the late Mr. Thomas E. Cook Jr. and Mrs. Jessie Sims Cook. She is also preceded in death by her husband, Teodoro Pacheco; beloved, Jay Dhawan; and brother, Thomas Cook, III. Sandra attended Asheville City schools and graduated from Lee Edwards High School in 1961. She also graduated from Mission School of Nursing 1963. After school she worked for 10 years as an OBGYN nurse and later became the National Sales Manager for Medical Sales at Capital Equipment. Sandra moved to California and generated her own business in medical sales. Eventually, she returned to Asheville and worked as a pharmaceutical rep for 18 years in WNC. She had a lifelong love of Egypt and loved to travel. Sandra was a member of Self Realization Fellowship and the Asheville Meditation Center. Surviving Sandra is her daughter, Jennifer Inman (Kenneth) of Richmond, VA; sisters: Carol Ann Craig (Dave) of Wichita, KS, brother, Ronald T. Cook (Betty) Candler, NC; Anita C. Holcombe (Butch) of Atlanta, GA; grandchildren, Andrew T. Inman, Mimi Inman; 1st spouse, Charles Blaine and numerous nieces and nephews, and grand nieces and nephews. The family would like to express a special thank you to The ALS Association North Carolina Chapter for their support. The family is requesting in leu of flowers donations can be made in her name and mailed to 4 North Blount Street, Suite 200, Raleigh, NC 27601. A Celebration of Life will take place at 3pm Sunday, October 28, 2018 at the Brookstone Church Merrimon Ave Campus, 283 Merrimon Ave.